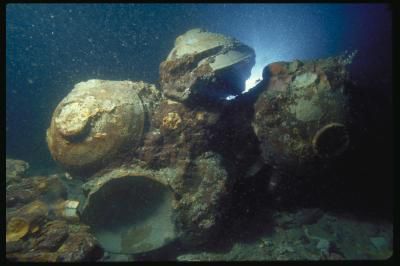 Ceramic bowls in situ at the Java Sea Shipwreck site. CREDIT (c) Field Museum, Anthropology. Photographer Pacific Sea Resources.